The last couple of days haven’t had a lot of posts, so I figured I’d give you all a little musical number to chew on while I work on some stuff. My Dad, David Hintz, has recently started a singing career at local coffee shops in Lehigh Acres, Florida and, well, I’m pretty proud of dear ol’ Da. I figured I had made a post dedicated to my Mom a while back, so why not one for him? So, without further ado, I present by way of YouTube, The Step Bros (I think that’s their group?) and their cover of Paradise by John Prine. Dad, makes me pretty pissed at myself that I never let you teach me how to play the guitar properly! Then again, I was a lefty, and thus not destined to do so! Enjoy this vid as a supplement for now– I’ve been pretty busy with acting jobs lately, both The Graveyard and Eden Lost, but I’ve also been getting a lot of footage with Max involving raving and zombies. Behind the scenes footage of other projects is also in the works for those interested. In the meantime, be sure to comment on my dad’s awesome singing ability- I hear he’s got a career in the works, which is definitely leaps and bounds ahead of my own in the entertainment industry! Late bloomer? I’d say so. Max headed out to N-Code October this month. The results were AWESOME. When the music stops at N-Code 2010, Max Action and crew bring their own lyrical and rhythmic talents to the floor. Wait till you hear this mesmerizing a-Capella laid down before your very ears! Here’s a small sample of the good times that were shared at Club Orpheus! Max Action Live at N-Code : Acapella Song Time! 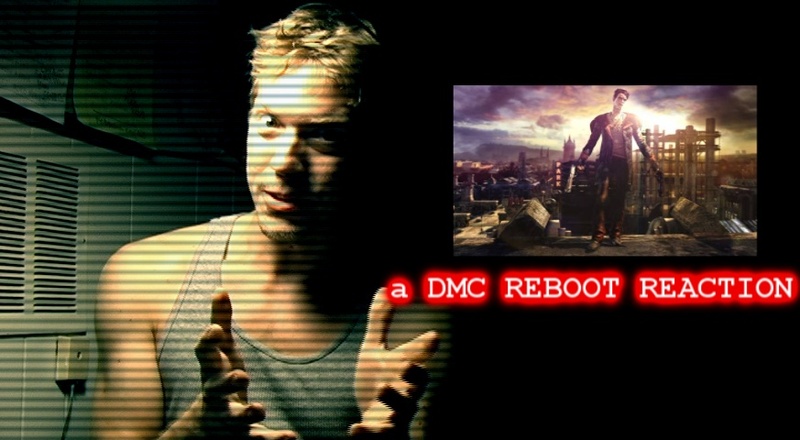 So the other day at the Tokyo Game Show, Capcom released it’s trailer for the newest Devil May Cry game. The franchise has long inspired my film making and style, and even inspired me to make one of my most well received videos! However, when I excitedly went to see the trailer on Gametrailers.com, waiting for the player to load with joyful glee such the likes as a kid on Christmas eve, I saw some things I never expected. So everyone out there on the internet, what do you think of the changes made to our boy, Dante, in the new DMC? Please also see this video and others syndicated at http://www.spacemonkeymafiastudios.com!